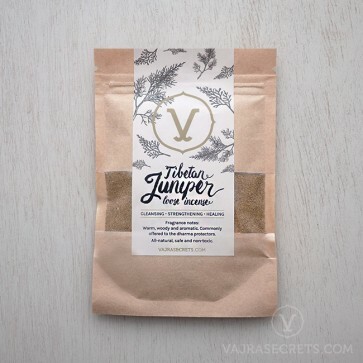 Tibetan Juniper is one of the most popular incense ingredients in Tibetan Buddhism, and is particularly suitable as an offering to the Dharma protectors. It is harvested from the leaves of the evergreen Tibetan Juniper tree, which is found at the highest altitudes in the harsh climate of Tibet. When burnt, the leaves produces a distinct spicy scent that quickly purifies negative energies in the surrounding area. Tibetan Juniper is one of the most popular incense ingredients in Tibetan Buddhism, and is particularly suitable as an offering to the Dharma protectors. 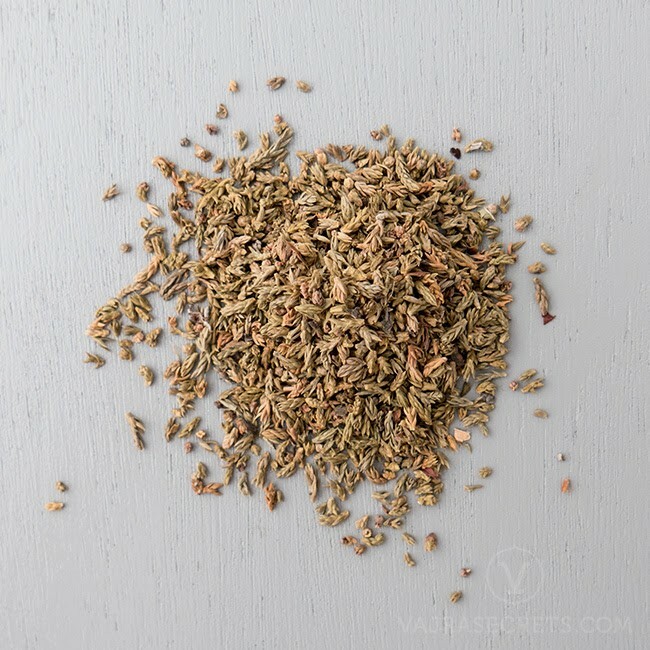 This incense is harvested from the leaves of the evergreen Tibetan Juniper tree, which is found at the highest altitudes in the harsh climate of Tibet. When burnt, the leaves produces a distinct spicy scent that quickly purifies negative energies in the surrounding area. Incense is often used to purify what has been offered on the altar. Buddhists also offer incense to create the causes to have morality, ethics and hold one's vows well. Hence it is strongly encouraged to offer the best incense (and by extension, the best offerings) that one can afford. Our Tibetan Juniper Leaves are of the highest quality, and are sourced directly from Tibet.